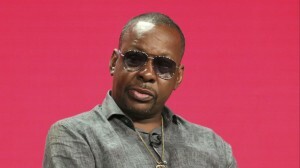 The success of BET’s 2017 docudrama “The New Edition Story” got the network motivated to make the sequel, “The Bobby Brown Story” which premieres Sept. 4 and 5. Brown, 49, was an adviser on the project which stars Woody McClain in the title role and Gabrielle Dennis as his wife Whitney Houston. It was odd that he was doing promotion at the TV Critics Association summer press tour in the very hotel where Houston died in 2012. Things got more tense when reporters brought up reports of domestic abuse and on the record 911 calls during that marriage. An additional period of questions from reporters that was scheduled was instead abruptly canceled, with publicists saying there was no time, despite the fact there was an hour until the next session.